The U.S. Department of the Treasury, the U.S. Department of Housing and Urban Development (HUD), and the Federal Housing Finance Agency (FHFA) recently released a white paper that serves as a guide for future loss mitigation programs. It derives from the lessons learned from the government’s crisis-era housing recovery programs. Over the past 7 years, the foreclosure prevention programs put into place by Treasury, HUD and FHFA have greatly changed how the mortgage servicing industry has engaged with and helped out struggling homeowners. In all, via government programs as well as efforts from the private sector, 10.5 million modification & mortgage assistance arrangements occurred between April 2009 and the end of May 2016. What’s more, Making Home Affordable (MHA) and other homeowner assistance programs led to improved homeowner engagement in the process of loss mitigation. It also resulted in fresh guidelines for the kinds of loss mitigation options homeowners have, and standard procedures for providing those products. The programs supported the housing market’s recovery and showed that a mortgage modification can be a sustainable option for homeowners looking to avoid foreclosure. The MHA programs will close at the end of the year, and mortgage servicers will no longer need to evaluate homeowners for a mortgage modification, such as the Home Affordable Modification Program (HAMP). Since 2009, government agencies, servicers, investors and consumer advocates have collaborated to stabilize the housing market and help homeowners avoid foreclosure following the financial crisis. 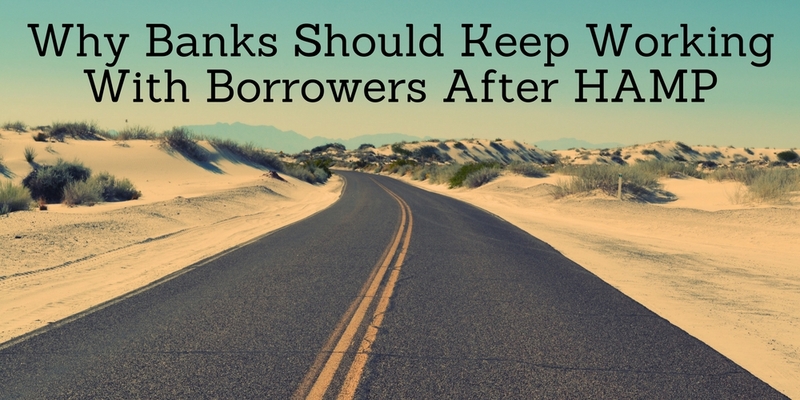 So, why should banks keep working with borrowers after HAMP? Accessibility: Ensuring that there is a simple process in place for homeowners to seek mortgage assistance and that homeowners can easily get assistance. Accountability: Making sure there’s an appropriate level of oversight in the process to get mortgage assistance. Affordability: Giving homeowners payment relief that addresses the needs of the homeowner, the servicer and the investor to bolster long-term performance. Sustainability: Offering solutions that help resolve the delinquency and be effective long-term. Transparency: Making sure that the process to get assistance, and the terms of that assistance, are understandable to homeowners. Also, ensuring that info about options and their utilization is available to the appropriate parties. The white paper further highlighted the creation of framework for a universal loss mitigation program for the future, when the Home Affordable Modification Program (HAMP) expires at the end of the year. The CFPB is calling for mortgage lenders, housing finance agencies and investors to create affordable and sustainable loss mitigation programs that are accessible and transparent for borrowers. The bureau said the five aforementioned principles are flexible enough to apply to various approaches, including forbearance, short sales, repayment plans, loan modifications, and deeds-in-lieu of foreclosure. HAMP expires in January of 2017. Regulators are running on a general agreement that the government’s procedures and guidelines regarding loss mitigation, especially engaging with borrowers, should continue. 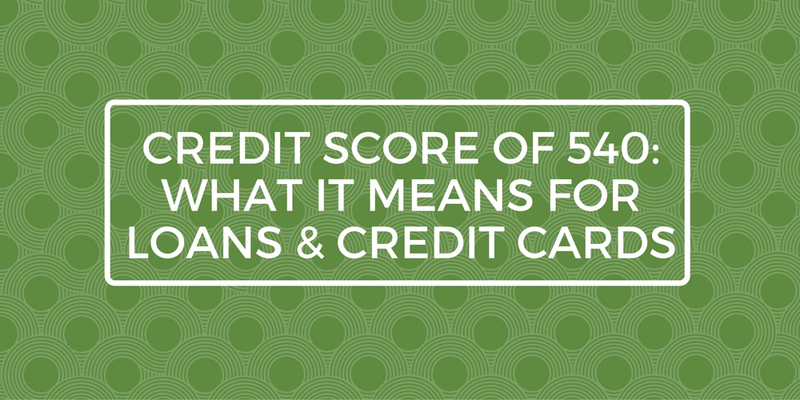 What does a credit score of 540 mean? Is a credit score of 540 good or bad? A credit score of 540 is considered “Poor.” In fact, any credit score below 619 can really take a toll on a person’s life – and not in a good way. The effects can be worse than one might think. In this post, we’ll share what having a credit score of 540 means for home loans, car loans and credit cards. Plus, we’ll share how to improve a 540 credit score. Buying a car with a credit score of 540 is possible, but higher interest rates are always given to people with bad credit. What is the interest rate for a credit score of 540 on an auto loan? Let’s take a look at how much more a car costs for someone with a credit score of 540 compared to a credit score of 640. Can a credit score of 540 get an auto loan? As the chart above shows, getting a car loan with a 540 credit score is going to cost you a lot more. On a 36 month new auto loan, it’ll cost you $2,545 more. On a 48 month, $3,481 more. On a 60 month auto loan, it will cost you a whopping $4,411 more. In other words, if your scored changed to a 640, you would save thousands of dollars on your loan. Don’t you think it’s worth a few hundred dollars to restore your credit before you take a test drive? Contact Go Clean Credit to get started. What’s the best credit card for a score of 540? Unfortunately, your options are limited. The general guidelines with credit cards is that any score above 600 may qualify for an unsecured card. If you have a credit score of 540, then you will only qualify for a secured credit card and will be required to make a minimum deposit in order to open your credit card. Go Clean Credit continually evaluates credit offerings and currently recommends these Secured Cards for people with a credit score of 540. We have seen up to a 40 point increase in credit score just by opening one of these cards. What happens to your APR for a credit score of 540? Here’s a chart illustrating the differences between annual fees and interest rates between someone with good credit and a credit score of 540. Let’s say you are a first time home buyer with a credit score of 540. Can a credit score of 540 buy a house? Can you rent with a credit score of 540? For most mortgages you need to be above a 620 credit score, but there are a few loans out there that go down to 540 for FHA. But then other parameters get harder (life debt to income) so it makes it pretty hard to qualify below 620. Let’s say that you may qualify for a FHA loan with a credit score of 540, but as we can see in the charts below, a low FICO score increases the amount of money you will end up spending on a loan throughout the course of its life. If your FICO score is below a 560, most lenders will not even consider offering you a jumbo loan for a FICO score that low. So can a credit score of 540 get a mortgage? Perhaps. But getting a mortgage with a credit score of 540 will add an extra $105,480 over the course of the loan than someone with a 721 credit score. The interest rate for a credit score of 540 will increase the monthly mortgage payment by $183 more than someone with a score 95 points higher, at a credit score of 635. Just how bad is a credit score of 540? As we’ve seen in the sections above, this score impacts every aspect of your financial life. Mortgages, auto loans and credit card interest rates are all dramatically higher than they would be if you had moderate credit. If you would like to improve your credit score of 540, there are a few ways you can go about it. How Will A Car Repossession Affect Your Credit Score? How will a car repossession affect your credit score? If you are currently asking yourself this, you’re probably in some sort of credit rut. A car repo is never a fun situation—but the following information can help you get back on your feet, credit-wise, following an event of this nature. A vehicle repossession will be removed from your credit report 7 years from the delinquency date of the original auto loan. It could carry quite a negative impact on your credit score, even just during that time. What does a repossession entail? Laws and procedures regarding car repossessions vary from state to state, so be sure to check your local resources. In general, however, a bank or lender can repossess your vehicle if you find yourself behind on bill payments. Lenders may also need to provide a final notice and a chance for you to make up for missed payments before repossessing your car. If you fail to pay off the outstanding debt ASAP, you could lose your vehicle in a sale or auction. The lender or bank may also take you to court and obtain a judgment against you. This could potentially be reported as public record info on your own credit report—and further affect your credit negatively. If your car is sold for less than the amount you owe, you may still be responsible for paying the difference. This debt can possibly remain on your credit report until it is paid off, and after you pay it fully, credit bureaus usually keep reporting the repossession on your credit report for seven years from the date of the original delinquency. A repossession can compromise your chances of getting good rates and even approval on future loans and credit. Following a vehicle repossession, the best move to benefit your credit is to pay off the outstanding debt ASAP. Talk to your lender about a debt settlement or a repayment plan. You might also request that the lender/bureaus classify the loan as “resolved” so it can be deemed “Paid in Full” or “Satisfied” on your credit report. This alone may lessen the effects of the car repossession. Furthermore, you should practice positive credit habits after a repossession. Consistently pay your bills on time, use less than 30 percent of your credit utilization ratio, for starters. For more credit repair help, contact Go Clean Credit. 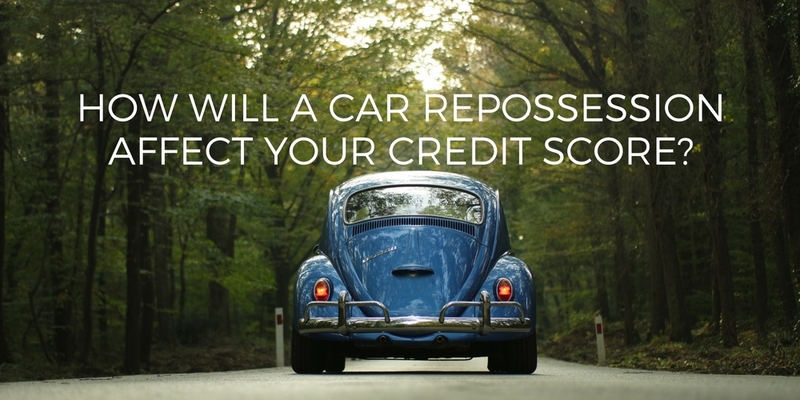 In all, a car repossession could end in a 100-point drop in your credit score. It also signals a major red flag for auto lenders that could likely prevent you from financing another vehicle. How will a car repossession affect your credit score, even if you voluntarily surrender your vehicle? If your creditor won’t accept a late payment and insists on a car repossession, you may convince him or her to settle (reduce) your debt in exchange for a voluntary repossession. However, you’ll still be required to pay off the remaining balance after the creditor sells the car and applies the sale proceeds to the loan, voluntary or otherwise. What’s more, volunteering to surrender your vehicle will not necessarily hinder a creditor from making note of it on your credit report. A voluntary repossession is slightly more preferable to involuntary repossession because it demonstrates the willingness to work in tandem with creditors. It can also keep you from having your car repossessed in front of your family, which can be an emotional detriment. Unfortunately, however, the difference to your score is minimal; from a lender’s perspective, the bottom line is the same. A repossession is a repossession, and a voluntary repossession should be a last resort. Are you still asking yourself, “How will a car repossession affect your credit score?” Contact Go Clean Credit for all your credit repair needs. How Often Should You Use Your Credit Card For Good Credit? How many credit card swipes a month will keep your score from deteriorating? 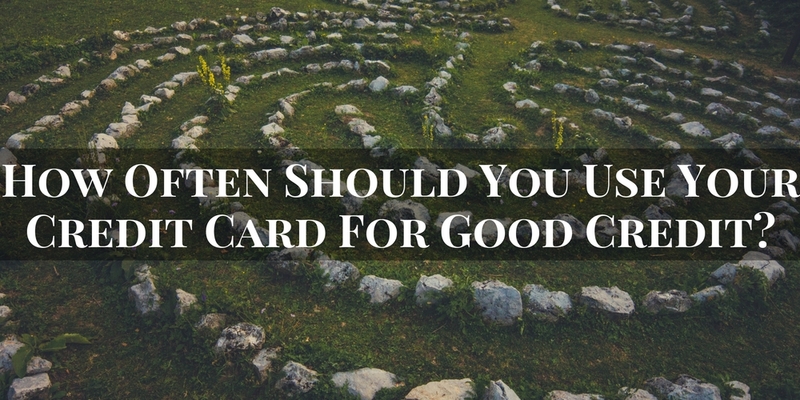 Well, as it turns out, there’s no single answer—but the following tips will shed light on how to keep your card active and your score healthy. You don’t want to spiral into debt from overspending or have your card canceled due to inactivity—so here’s how to find the happy medium with your credit. How Often Should You Use Your Credit Card? It’s smart to stay below 30% of your total available credit (credit utilization ratio) during the course of each month. Never rack up credit in the hopes of paying it off at the month’s end. Maxing out your credit card paints you as potentially reckless with your credit (and you’ll probably need credit repair down the road). Furthermore, letting yourself max out your card, even if you can pay it back, makes for a bad habit. A big misconception around credit cards is that you should carry some debt from month to month in order to display good credit. False—when your credit card statement arrives, pay it off in full. High credit utilization usually comes from keeping debt on your card as well as piling on more purchases each month. Once you pay your credit card bill, your credit utilization ratio is 0%, so you can keep charging small purchases. Continue buying only what you are able to pay off at the month’s end and up to 30 percent of your total available credit. The brief answer? Use each credit card one or two times a month (and pay them off in total) to maximize your credit score. In general, credit card companies tend to avoid closing your account unless there is at least a year of inactivity. However, with constantly changing policies, it’s crucial that you check with your card company to find out your specific terms. When you are an inactive credit user, credit card companies typically either charge you a fee or slash your line of credit—but they are less likely to completely close your account. However, the former two options should nevertheless be avoided. Try using each of your credit cards once per month on something fairly minor and pay it off in full each month. This can be beneficial to your credit score, because you will see a “paid” mark for each month you do that. Otherwise, you’ll see a “no activity” (neutral) mark for every month you do not use a card that carries a zero balance. It’s never a good idea to completely forgo using your credit card if you have credit troubles. As a general rule, you should try use your credit card at least every one to three months to keep your account open and active, and to ensure your credit card issuer continues to send updates to the credit bureaus. If you have several credit cards, it can be tough keeping them active without running the risk of getting into debt. Just because you need to use your credit card every so often to keep it active doesn’t imply you need to start spending right and left. You can charge something as small as a bottle of water to keep your credit card active—or you can buy a monthly subscription (such as Netflix) to be charged to your credit card to ensure it is being used often. Be cautious about setting the auto-pay and then completely forgetting about it. How often should you use your credit card for good credit? For more information, contact Go Clean Credit for all your credit repair needs. Are you curious about the waiting periods for significant derogatory credit events, such as bankruptcy and foreclosures? This list will show you the four categories of waiting periods (Conventional, VA, FHA, and USDA) and their subcategories with the types of derogatory credit events. It’s important to meet with the professionals at Go Clean Credit to work toward clearing these blemishes up through credit repair. If you have any questions on the waiting periods for significant derogatory credit events, contact Go Clean Credit. Please Note on the Waiting Periods For Significant Derogatory credit Events: Shorter wait periods may be available under certain circumstances and depend on the reason for the derogatory credit event.